Specializing in small to medium production volume, we complete all phases of manufacturing on site, including all fixturing and tooling. NAECO manages all secondary special processes, providing production ready parts, at reduced lead time and simplifying your supply chain. NAECO’s staff is versed in SolidWorks® for advanced part and assembly modeling. 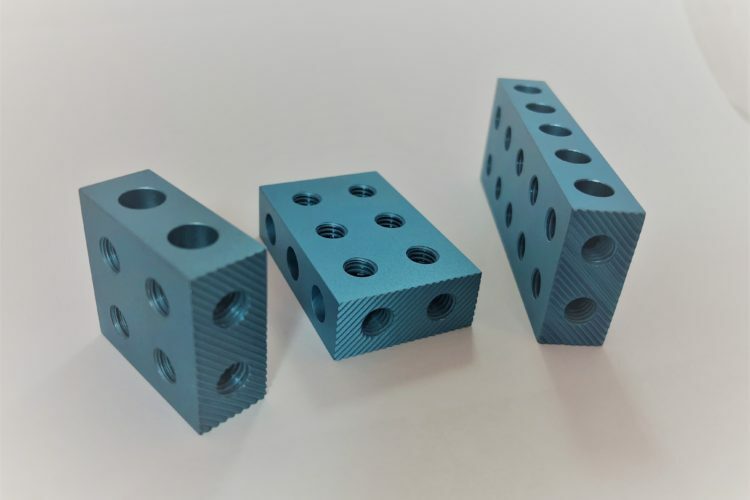 How can we serve your material requirements? NAECO provides precision CNC Swiss Machining services for a range of customers using these parts in aerospace, medical, power management, transportation and industrial controls. 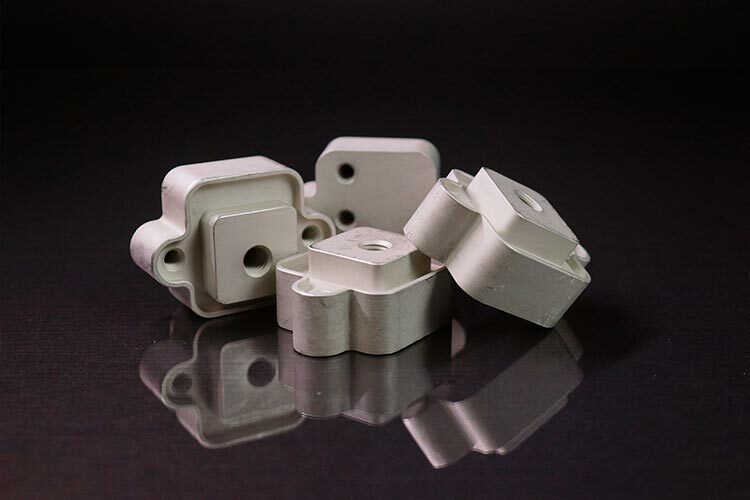 We precisely machine small parts of intricate and complex shapes from a variety of materials such as titanium, aluminum, stainless steel, brass, steel, magnetic iron, bronze, and plastic among others. 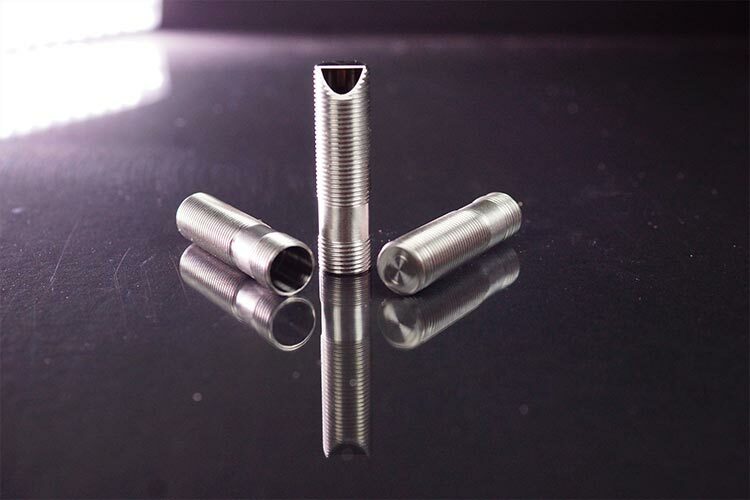 Due to quick production times and consistent production methods, Swiss screw machines can produce a large number of small, tight tolerance precision parts fast and cost effectively. Our precision turned parts typically range in diameter from 1.4 mm (.055”) to 20 mm (.7874”) while holding tight tolerances of ±0.0002. Supporting customers across a spectrum of markets, NAECO is proud to produce completed high precision milled parts. Our multi-axis machines with pallet fixturing and CNC control can precisely carry out processes such as drilling, milling, boring, contouring, and counter-boring, while maintaining very tight tolerances. 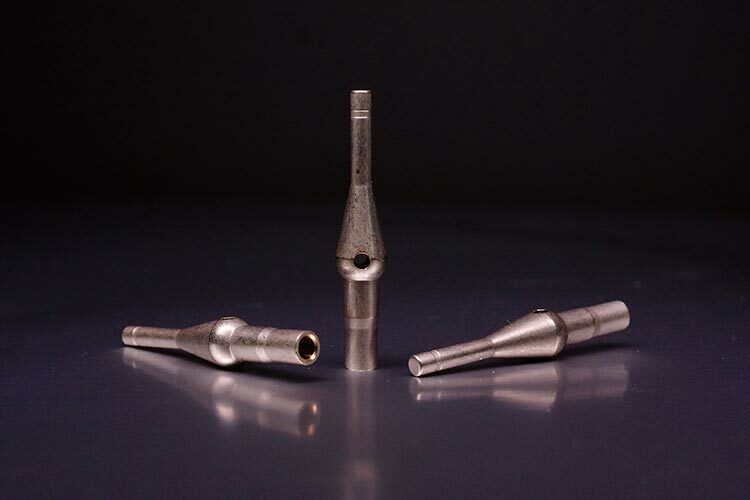 We machine a wide range of materials, including titanium, aluminum, stainless steel, tungsten, brass, copper, and plastic. NAECO offers a variety of quality threading and knurling service capabilities for our customers. Our team of expert precision machinists have decades of experience completing the most advanced, intricate and complex machining projects. Companies seeking a machining house with capabilities in threading and knurling can trust NAECO. 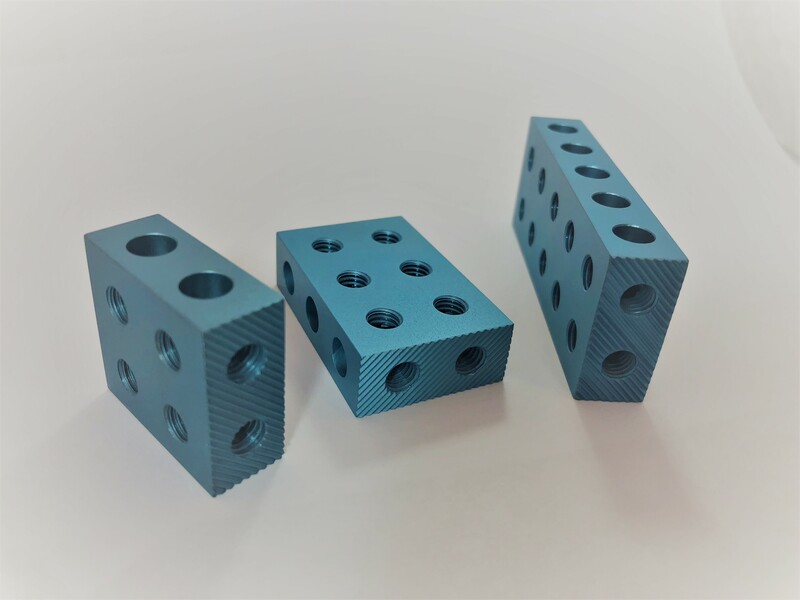 We specialize in applying detailed knurled textures and patterns to any miscellaneous precision machined parts. 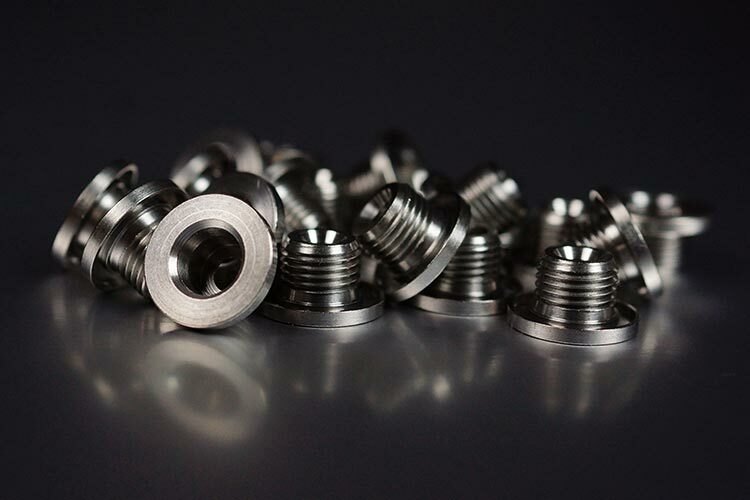 NAECO also has vast threading expertise offering the ability to thread even the smallest of machined parts of just about any material. Machine part finishing brings any project to life. NAECO manages special processes for all products ensuring you receive the product you need, complete, ready for your production line. NAECO supports any machine part finishing capabilities including, vibratory finishing, deburring, polishing, tumbling, heat treating, plating, anodizing, passivation, EDM, laser marking, special coatings, powder coatings, and much more. 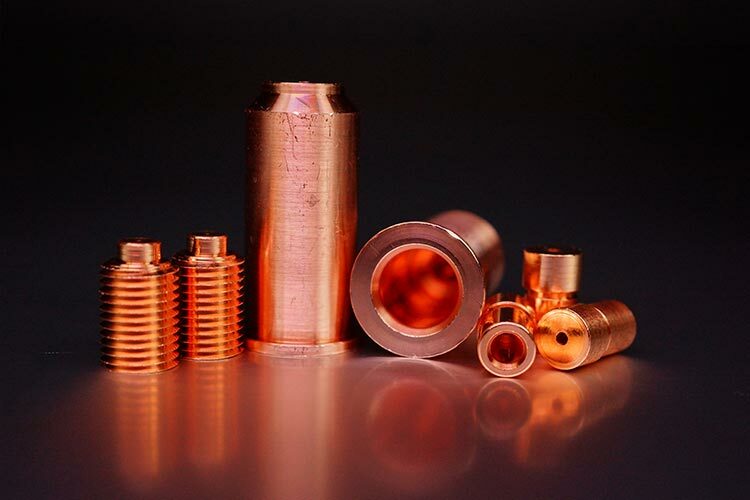 We can provide special metal plating in single or multilayer finishes.